If I am honest I have spent a large proportion of 2014 sitting in front of my computer on facebook with hundreds of notifications from 38 team honk groups around the country. But on Sunday that changed. On Sunday we could finally see that the Team Honk Lands End to John O Groats relay we’d dreamt about for Sport Relief was going to happen. So I closed my laptop, picked up my new Hi-Tec Infinity trainers and I went for a run. It felt amazing. Yesterday Team Honk announced the incredible details of the relay, over on the Team Honk blog. This is the rough map I drew to keep myself sane while trying to help the regions plan their route. 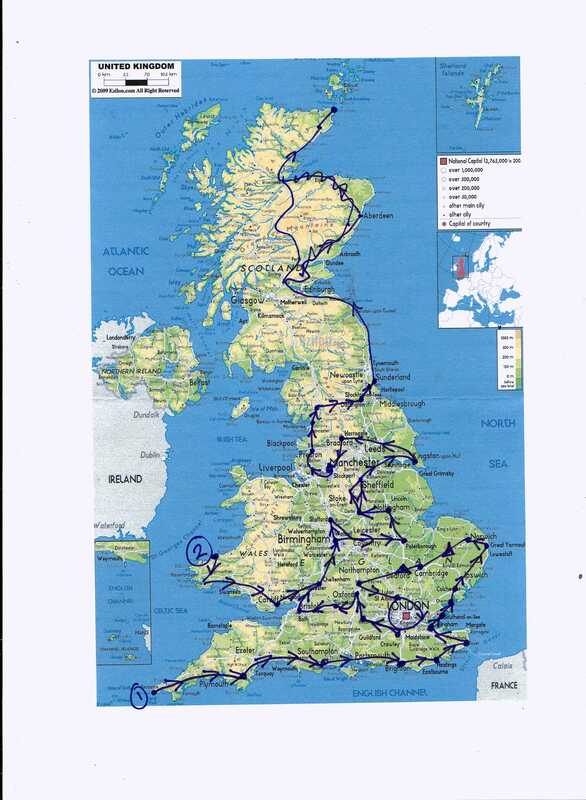 People cried when they saw how the route brought people together across the UK. It was emotional. So today, spurred on by that, I went for another run. I always know when my running shoes need replacing, my shins start to ache, I find it harder than usual. 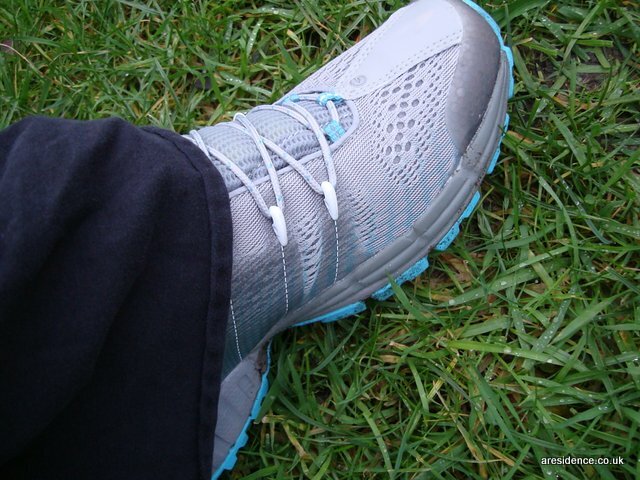 With my new Hi Tech V Lite Infinity trainers there has been a spring in my step. 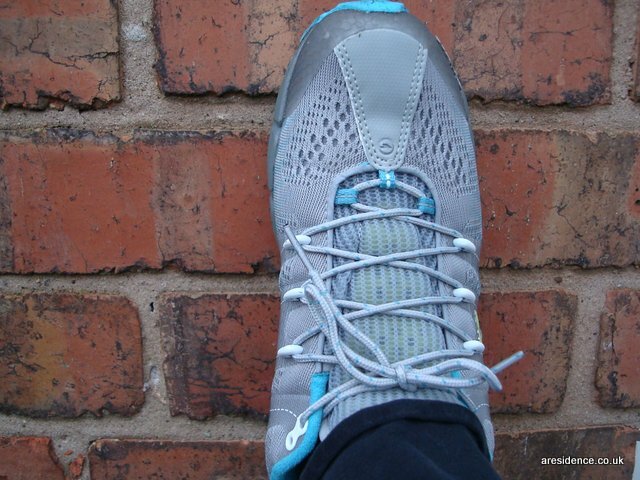 These trainers are comfy and flexible and best of all really lightweight so it barely feels like you are wearing them. I like the colours and that they don’t look like some kind of weird futuristic sculpture with the obligatory flashes of pink most women’s trainers seem to sport. I wouldn’t feel daft wearing them with my jeans and will probably use them for walking too. I think I am back up to a comfortable 4k, by the end of this week hopefully 5k. I’m doing a mixture of the relay and official Sport Relief events. Cycling around 75k across Nottinghamshire and Derbyshire and running 10k in London. So I need to get back up to 10k, and get back on my bike! I’m really excited about the relay and about making a difference to the lives of some of the most disadvantaged people in the UK and Africa, I would love you to sponsor me. I am also finding myself bounding with energy and enthusiasm in general, I’ve written about it time and time again, but running really does make me very happy. Thank you to Hi-Tec for my V-Lite Infintity trainers, and for getting involved with supporting Team Honk once again this year. Just spotted, V Lites are on offer now, reduced from £89.99, to £59.99. There is still time to join in the blogger and friends relay if you are quick, so hop on over. Join the official Sport relief events in your area, I have now signed up for a 6 mile run on Sunday 23rd 10.15am in London’s Queen Elizabeth Olympic Park, so join here to become part of that team. The all important sponsorship link. Thanks for making a difference. Previous Post How do I get my kids to ride a bike? I’m hoping to do the official sport relief run in London and have started jogging but umm…. My c section scar feels like it’s going to fall open. Oops! Fingers crossed!! Kate we need to chat! I am planning on this too and trying to get a team together. I have 2 C Section scars, know that feeling, but it will be fine, promise. Can I email you? So pleased they managed to fit you in, sorry for my poor map skills! Cool looking trainers and so good to hear you are so up for this relay! Bring it on! Loving those trainers! 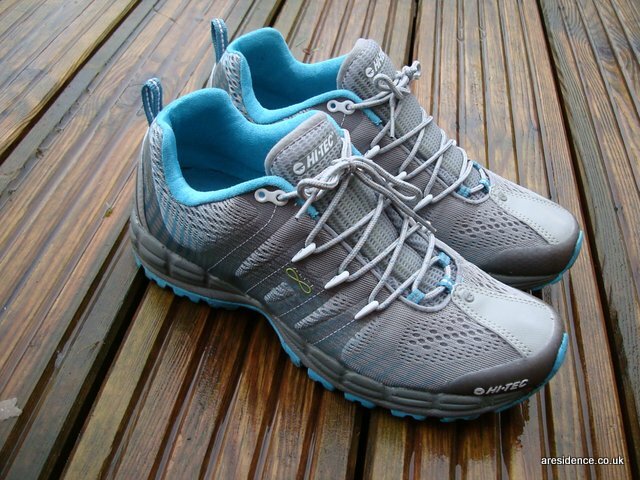 I’ve seen a lot of cool looking Hi-tec trainers recently is some very funky colours. So nice not to see the usual pink. You actually want to wear them! #TeamHonk have done an amazing job organising this. I can imagine how daunting it must have felt. It’s going to be brilliant. Can’t tell you how much I am looking forward to cycling with you. Bring on #TeamHonk relay and team Nottingham! I wish I could still run, it used to be how I relaxed and de stressed, I know it takes all sorts! Now my knees are shot but I still love a good pair of trainers for walking. Good luck with your running and what a fab job you have done with the whole Team Honk mean machine! I need to get my arse-idence in gear (did you see what I did there, did you?) and get some trainers and get on with training for my bit. I have to walk 3 miles. Furthest I usually walk is to the fridge. Well done for everything and the VERY best of luck for tomorrow.